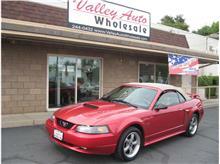 Customer Testimonials for VALLEY AUTO WHOLESALE- We buy AND sell vehicles! 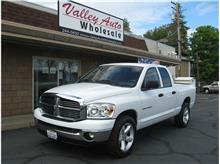 The following is a list of reviews sent in by previous customers for VALLEY AUTO WHOLESALE- We buy AND sell vehicles!. 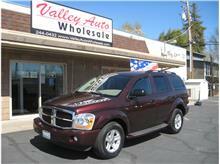 If you have had an experience with VALLEY AUTO WHOLESALE- We buy AND sell vehicles! that you would like to share, Click Here to Add Your Own Testimonial. 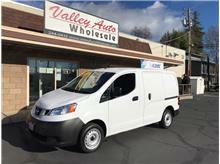 Review: We are very happy with our Nissan NV 200. 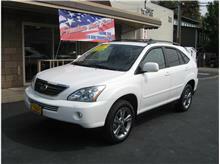 John Rosel (salesman) is very professional, honest and has a good sense of humor. I liked the fact that when you walk on the lot they don't bug you at first. 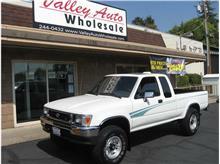 Yes I would buy from Valley Auto wholesale again !! 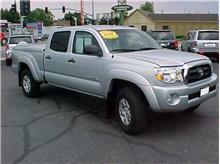 Review: I walked into the lot to look specifically at the Power Wagon they had in stock. After drooling a little bit on the paint, John came up and offered me a test drive. 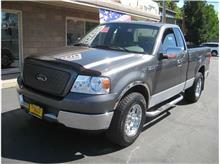 That's all it really took for me to decide I wanted this truck. John was a good guy, and worked with me. He offered me an extended warranty that is unbeatable. Which was a good thing. The day after I bought it my rear locking differential locking motor went out. The dealership, John, was my first contact on the problem. They sent me to a shop nearby that took care of everything. I was really happy with the fact that John got it all handled for me and everything got fixed without incident. They covered the repair bill. The warranty itself ended up being used to get it fixed, which is fine. That's why I bought a warranty. I say thank you John for being there to help with the problem. Other than that one thing everything has been perfect. 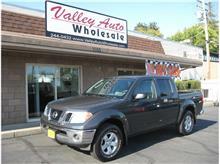 I love the truck and next time I need a vehicle I will most likely be back. Review: Thanks Larry for all your help. No pressure to buy and Larry is very friendly. 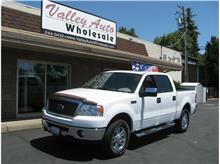 They get good quality vehicles, been checking out their inventory for some time. I have missed a few good deals but finally the right one came alone. Larry, the truck runs great and the wife loves it. 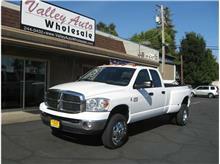 You got a good deal on my trade in and will be a great truck for some one. This was an easy experience in buying a vehicle. I would definitely do business with Larry again. 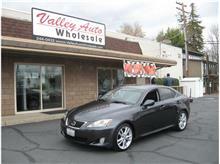 Review: We have bought three cars from John Rosel at Valley Auto in the last 6 years. 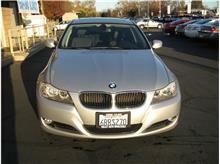 John makes car- buying almost a pleasurable experience. 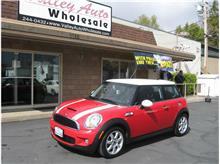 We have always been satisfied with his expertise as to which car would best suit our needs; we enjoy his sense of humor. 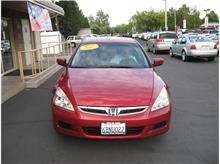 We feel that we get a good deal and the right amount back on our trade-in. 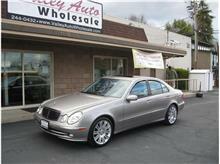 Review: The only situation I would see needing to be improved was that the car I purchased wasn't detailed at all!!! Thank you for the feedback. I appologize that the Focus wasn't properly detailed prior to your purchase. It must have mistakenly ended up out on the lot prematurely. It has happened before but it is a rare occurance. I will spread the word that we need to be more diligent in that area. Thank you again for bringing this to our attention. Review: Good thing I got a warranty. The transmission needed to be rebuilt. 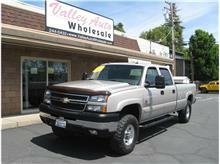 I will be buying my next truck from you. Kenny, Thank you so much for taking the time to provide feedback. I am so sorry to hear about the transmission! 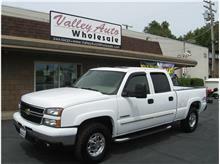 We have each vehicle safety inspected and smogged before offering it for sale. We use only highly experienced & respected 3rd party repair facilities but still vehicles can appear fine one day and then have a major part failure the next. That's why we offer the best aftermarket Service Contract we can find at a reasonable price. We, too, are very glad that you had that warranty and we are very happy that you still trust us enough to buy your next vehicle from us!! Thank you again. Review: Very friendly and professional. 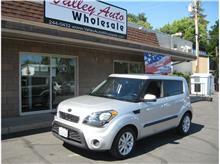 Review: Buying a vehicle is always stressful. Duane (Gazzigli) made the experience as painless as possible. I would return to look for another vehicle. Duane did a good job. Review: Duane (Gazzigli) did a great job with providing excellent information about the vehicle I wanted to purchase, and was friendly. 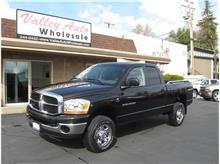 I'd recommend Valley Auto Wholesale and Duane, our salesman, anytime. Review: I enjoyed working with Steve (Glarson). We would be inclined to do business with VAW again. Review: I love my new van and I'm sure it will take me wherever I want to go! Great service. Thanks Steve (Glarson)! Review: Larry (Birdsong) was very friendly and helpful with us. Review: It was a good experience. 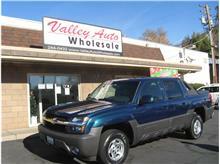 Review: We just bought our 5th vehicle from Valley Auto Wholesale. 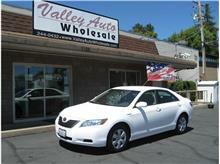 Great service, great selection, great prices! We will never shop anywhere else!!! Charlie (Durel) and John were so easy to deal with. Overall great experience! Review: We loved the service we received and Larry Birdsong was able to get us a loan when no one else could! Thank you so much. We strive hard to have financing options for everyone and I'm very pleased to hear that Larry put forth the extra effort to find the right vehicle AND the right financing to meet your needs! Review: This is the 3rd vehicle I've bought from you folks. I would not consider buying anywhere else. You guys are the place all other car lots aspire to. John (Rosel) was fanastic! Thank you so very much Scott. We sincerely appreciate your continued business and your complimentary words. It feels great when a customer acknowledges how hard we try to be a cut above! 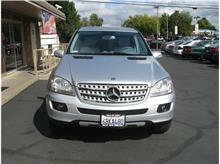 Review: My husband spoke to Larry (Birdsong) on the phone, we test drove the car, then purchased the car. We rate the whole experience a 10! Review: Larry (Birdsong) was great! I could tell he was concerned when my boyfriend & I told him we were only 18. However, he worked with us for our best financial benefit. He made us feel like we were more than just another sale! Thank you! Jaci, Thank you, both, for the business and the kind words. It is always so inspiring to come across young adults who take responsibility seriously and are already on a good path. It's not as common as it used to be. Review: Awesome Service! Thanks Duane (Gazzigli)! 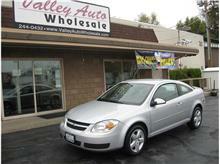 Craig & Angela, Thank you so much for your business! We truly appreciate it! Review: Good experience. Steve (Glarson) was very nice, even to my 21-month old son who was tired and crabby! Review: Sales Team was awesome. John (Rosel) made my wife and I feel comfortable. Products on the lot are well prepared. Would really like to know more about the vehicle bought though! Overall very satisfied. Thank you!! 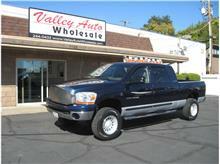 Jess, Thanks so much for buying your truck from Valley Auto Wholesale. We try to find out as much as we can about each vehicle we offer for sale but unless it is a local trade in we only have the vehicle history report to go off of and it doesn't tell us a lot. Of course, on local trade ins we are not permitted to give out any previous owner information so even then there isn't really much info to share. Review: Inner guidance brought me to your car lot (and yours alone - passed by many others, but did not "feel" desire to stop). 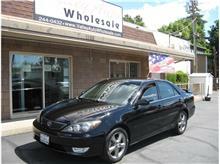 John (Rosel) was the perfect salesperson - helpful and not pushy. I had let go of the idea that a truck or mini-van should be our next vehicle, but told John that was what I was looking for. 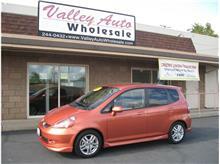 (The FIT is like a mini mini-van!) He was showing me a car, when he mentioned the FIT had low miles. I turned around and it seemed perfect! Inner guidance again! My husband met me later at the lot to check it out, and John made it do-able. He was able to get financing that worked. The car is perfect for our needs. Thank you, John! 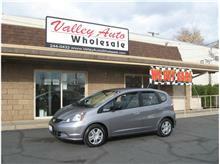 Sue & Jim, Thank you so much for buying your Honda FIT from us! Your Sales Specialist, John Rosel, and all of us here at Valley Auto Wholesale just love it when everything falls into place so perfectly! 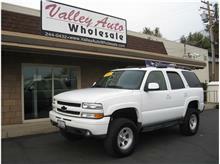 Review: (Sales Specialist- Duane Gazzigli) A wonderful experience, completely. 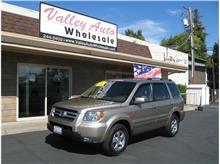 Kevin & Leslie, Thank you so much for your business and your thoughtful feedback. 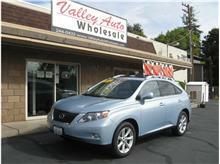 Review: Steve Glarson made car buying enjoyable & easy. 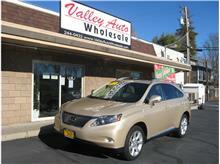 What a gem we have found in Valley Auto Wholesale, especially Steve. Thank you so much McGuire Family - for your business AND your kind words! By the way, we agree that Steve is a "keeper". Review: I'm so happy with my new Jeep. 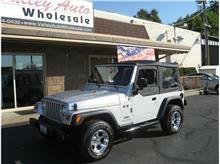 You had the best looking Jeep and the best price and trust me, we looked everywhere! Thanks. Review: Sales Specialist was Steve Glarson. Quality of Vehicle - 10 Made to feel comfortable - 10 Financing Options - 10 Treated with courtesy & respect - 10 Overall experience - 10! Arthur, Thank you so much for the glowing feedback. It means so much to us! Review: I rate everything a perfect 10! 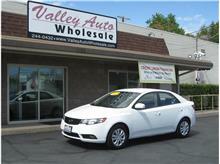 Angela, Thanks so much for the excellent score and your business! 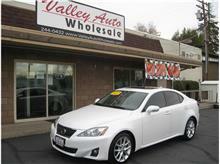 Your sales specialist, Steve Glarson, and I couldn't be happier to add you to our family of very satisfied customers. Michael, Thank you so much for your business & your feedback - both good & not so good. That's how we know what we are doing right and where we fall short. I'm so sorry that the FREE POWERTRAIN ONLY WARRANTY that we included with your purchase was not explained better at the time of vehicle delivery. We do offer other more comprehensive Service Contracts through PRco for purchase but the free 3 month, 3,000 miles powertrain only plan does have very limited coverage. Review: Jim Eddy made me feel at home. God meant for him to sell me a car. I'm coming back next time I buy a car. God bless all of you guys. Thanks. Adrianne, BEST REFERRAL EVER!! :-) Thank YOU so much for the unbeatable praise & blessings. Review: Really appreciated how John (Rosel) treated us. 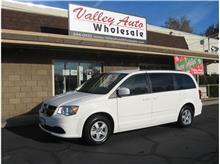 This is the 2nd vehicle we've purchased from VAW and love the quality & price of both. Will probably be back. Review: Could of negotiated on price better. Really didn't want to budge, but everything else was great! Review: Quality Cars. Good Salesmen. No pressure. Good chance I'll be back again. Review: I wanted something in my price range (actually my daughter's) and worth paying that amount. Sales service was great! I was in & out quickly and they worked with my work hours. 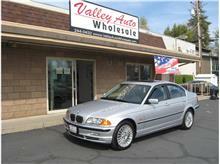 I was satisfied & would go here first if I needed another car. Regina, Thank you so much for the nice feedback. 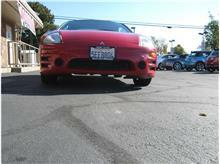 We wish your daughter MANY happy miles in her Eclipse! 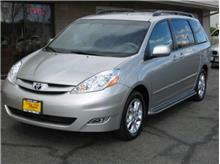 Review: Good experience in the past - it was a good quality vehicle. As long as my previous experiences were positive I'll shop there first in the future. Chris, What can I say?! You made my day! 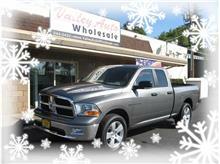 Thank you so very much for the trust you put in us by bringing your business to us year after year! Merry Christmas to you and your family! Thank you so much for your business. Merry Christmas to you! Review: Compared to other car buying experiences, this was quite "painless" - No high pressure sales pitch. We felt free to make our own decision without undue influence. Thank you Evelyn & Charles. That is exactly the kind of positive experience we want every customer to have here at VAW. Review: Duane (Gazzigli) did not put any pressure on me. Treated me with respect, did what he said he would do, and made the process speedy. Thank you Duane! Thank you so much for the business, Bonnie, and the kind words. Review: I have never really had the best opinion of car salesmen. 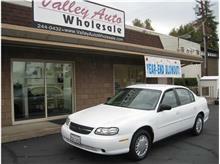 I bought a car from Valley Auto Wholesale approx 6 years ago (Richard Patton) and had a great experience then and now after dealing with Larry (Birdsong), my opinion of car salesmen has changed for the better! 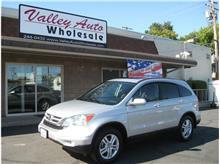 I will always come to Valley Auto Wholesale first to purchase a vehicle. Review: It was a pleasure working with Jim (Eddy). Thank you so much! Merry Christmas & Happy New Year to the Smith Family! Review: Duane (Gazzigli) is an amazing salesperson. He has great eye contact and is very personable. Makes you feel comfortable in your decision to buy. Thanks so much Casey for your business and the kind words. Review: Steve (Glarson) was a very courteous Sales Specialist. Very pleased :-) Thank you Steve!!! Thank you for your feedback. Glad to hear you are a happy customer! Review: We have known Larry (Birdsong) a long time. When I called about the truck and he answered the phone we knew he would take care of us. He Did!!! Thank you so much for the great feed back. Happy Holidays! 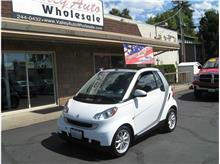 Review: I talked to Jim (Eddy) on the phone before even comming in about the car I bought. He was so polite & easy to talk to & he answered all my questions so that when I came in all I had to do was test drive the car & buy it. I had already heard great things about your lot. Thanks so much for the kind words. I love to hear that our good reputation preceeded us and that your interaction with Jim Eddy was a positive one! 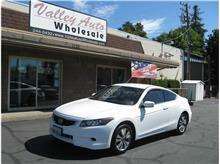 Review: I enjoyed the fact that Jim Eddy answered all my questions with no sales pressure. I've walked away from car dealers who have done that; and not returned to their lots. Thank you Jim for being respectful. Ben, I'm so glad that your experience with Jim was a positive one. Please send your friends our way when they are in the market for a vehicle. Happy Holidays! Review: John (Rosel) was great to work with. No BS. Not too pushy. Fast. Found us financing. Great experience overall. Thank you! Thanks so much Stacey! Enjoy your Pilot. Review: Steve (Glarson) understood what I was looking for better than I did myself. 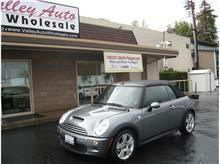 Review: Very friendly, no pressure, efficient sales procedure, happy customer. Lisa & Scott, Thank you so much for your business AND the positive presence your business, Scott Halsey's Kenpo Karate, is to the Redding Downtown area! 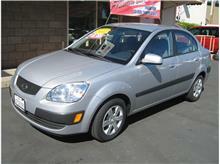 Review: Thank you for assisting us with purchasing our vehicle, Jim (Eddy)! Thank YOU for trusting us with your business. We really appreciate it! 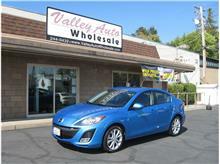 Review: I would like to thank Jim Eddy for being so Professional and Friendly at the same time. Jim also went out of his way to make the transaction smoother than it could have been. Walter, Thank you for your business and the kind feedback. Treated with Courtesy & Respect - YES!! I was treated like an honored grandfather, or maybe a Mafia Godfather. 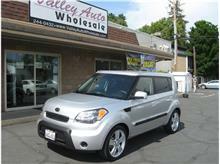 My salesman was Jim Eddy. Harold, Wow! Thanks so much for the glowing review! We sincerely appreciate your business and kind words, as does Jim! Thank you Sharon! We appreciate your business and the feedback. Review: Larry (Birdsong) was Great! No Pressure and a pleasure to do business with. 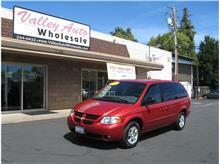 Review: We bought a Dodge Van from VAW in 2004 and thought we'd try you again. Albert, I'm so glad that you came back. That is the best flattery. Enjoy your new vehicle! Review: Jim Eddy was great! Took time with me and showed personal interest in me. Thank you Jeff! We truly appreciate the business and the feedback! Review: Overall, treated very nice and professionally. Review: Thank you ever so much! I purchased my car and a couple days later I get a phone call. I thought something might be wrong, but Larry (Birdsong) called because he got my loan even cheaper for me and I think that goes to show how much you guys really do for people who are hard to finance. 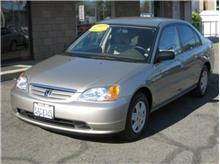 Thanks to Larry and your financing options I got an even BETTER deal on my car. Definitely will recommend you to family and friends! Wow, Thank you so much, Michelle, for taking time to provide us such positive feedback! It means a great deal to us. We are very proud to have Larry Birdsong on our team and to hear about the excellent customer service he provided to you. Thank you so much for the business & the kind words. Review: Charlie & Barbara, We've always been so happy with you all at VAW that we never go anywhere else! Thanks so much Gerry & family! We appreciate the trust you continue to put in us with each purchase. Thank you so much Doug! We appreciate your business. Review: Steve Glarson was great. Very friendly, not pushy!! We told him what we wanted, how much we were willing to spend total and monthly and he gave us exactly what we wanted and we are very happy! 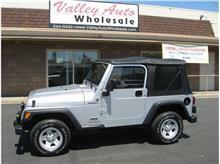 I would recommend Valley Auto Wholesale to friends and family and would send them right to Steve!! Thanks so much! 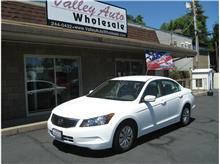 Steve is a tremendous asset here at Valley Auto Wholesale as your words confirm. We certainly appreciate your business and hope to see you again when the time is right. 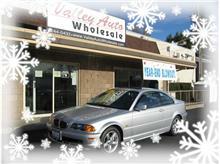 Review: Excellent customer service, very friendly atmosphere, great follow-up, will definitely purchase from VAW again!! 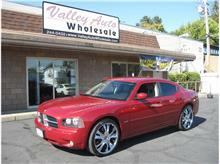 Review: I was referred to Valley Auto Wholesale by Angelo (Angelo Arista, owner of Classic Imports Repair Shop). 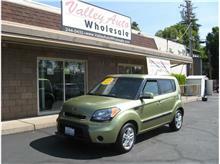 Our salesman was awesome - He explained things very well and he seemed very authentic. Car shopping is usually not enjoyable. Thank you so much Debbie for taking the time to provide feedback. It is so important to us. Thanks again for your business. Review: Very Satisfied - Entire experience was great! Review: Treated with respect, explained all the contingencies of the vehicle, it was a very nice experience, and when needed would buy from you again. Thank you so much Vincent. We appreciate your business and the kind words. Review: You were able to answer all of our questions and provide details on the car that built confidence in the purchase. Review: Great experience!! We will recommend you to friends and will shop there again. Review: We were really pleased with our experience! Thanks Steve (Glarson)! Thank you Inga for your comments. 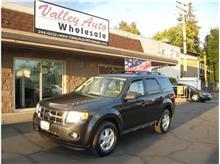 Our goal is to make buying a vehicle a Positive experience and it sounds like we succeeded. Thank you for your business. 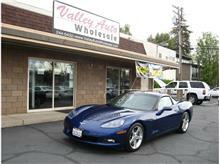 Review: Best assortment of Quality Cars in Northern California. Thank you so much Harvey! That is quite a compliment. It is always nice to hear your hard work is appreciated! Thanks again for your business and the kind words. Review: Fun to deal with and easy to work with. Review: Steve (Glarson) gave us the best & we appreciate very good service! Thanks again Steve! Robert, It was Steve's and VAW's pleasure! Thanks so very much for your business. We hope you will send in your friends. 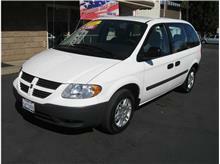 Review: Earl Deppe, a good friend of ours, recommended that we see Charlie (Durel)for a good used car. 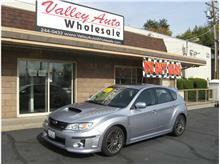 Review: This was by far the fastest, easiest car-buying experience we have had. John (Rosel) was easy to deal with, helpful but not too pushy. Your business will be our first stop next time we are shopping for a car. Thank you so much for the kind words and your business!! Review: Mike (Eastman) & Steve (Glarson) were great! This is the second time we have bought from Mike. Although Larry (Birdsong) was rude to my wife when he found out we were working with Mike. Mike was gone for 20 minutes when we got there and Larry basically told us to leave and do something else while Mike was away because he would not earn commission on us and someone had to be there for us to stay. Lucky that you have Mike or we would have left then. Larry could use a nice people skills class or two. He is probably a nice guy. Let me start off by thanking you SO MUCH for your continued business and faith in us. Mike Eastman is definitely a valuable asset to VAW and a great person. We feel lucky to have him here as part of our team. I also want to thank you for taking the time to provide such valuable feedback. As an owner, I try to make ensure that every interaction reflects our core values and philosophy which is that "We Make Buying a Vehicle a Positive Experience!" When we fall short of that, for whatever reason, I need to know. Larry is usually much better with customers than this particular incident would indicate. I am so sorry that he behaved the way he did with you and I have spoken to him about this incident. 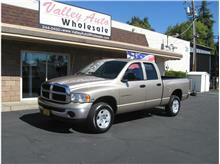 Thank you for not leaving, for waiting for Mike to return, and for trusting us with your business, once again. Review: Quality of vehicle = 10, Made to feel comfortable = 10, Treated with Courtesy & Respect = 10, Our overall experience was a 10. Ask for Larry Birdsong. Thank you Gary! That's what we like to hear. Enjoy your ride. Review: We dealt with Larry Birdsong. Great Cars, Great Service = Very pleased. Melissa, Thanks again for your business! 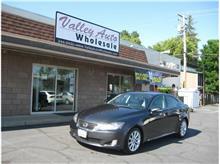 Review: We would rate our overall experience at Valley Auto Wholesale a 10! Thank you so much for taking the time to provide feedback! Review: Duane (Gazzigli) listened to our needs, wasn't pushy, showed us what he had and was very smooth in getting us to the table :-) All salespeople should follow his lead. Thanks so much for your business and for taking the time to provide us welcome feedback. We could not agree more that Duane Gazzigli sets an EXCELLENT example and fits right in with our philosphy here at Valley Auto Wholesale regarding how our customers should be treated. 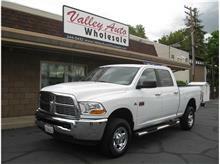 Review: I got the car of my dreams and bought a Ram 2500 here also. 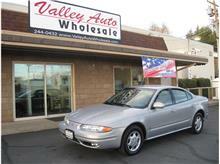 Both top notch in quality, low mileage and I would send anyone wanting to buy a car to Valley Auto Wholesale. Thank you so much Bryan! We love hearing that you are a Happy Customer! Review: Larry (Birdsong) talked quite a bit but really empathized. He worked hard to close a tough deal. We will see you guys again in the next year or two. Thanks so much for the business Jesse. We look forward to earning your business again when you are ready. Review: Duane (Gazzigli) did a great job getting us the payment that we wanted. 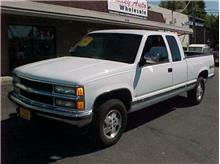 I love my truck and I would definitely come back. Review: Love my car! Getting ready for a road trip! 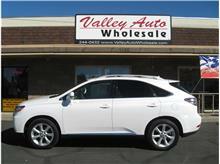 Review: We look forward to buying another car from Valley Auto Wholesale & Duane Gazzigli in the future. Review: Was too easy. Great Car, good experience. Review: There were no major issues. Overall experience was very good. Only issue was financing options which is not a deal breaker for me. Looked like there were quality cars on the lot. Thank you Dale. We appreciate your business! Alice and I would like to thank all of you for treating us like family! You are all very professional, and courteous, in regard to your customers. It has been a pleasure trading with you, and also being great neighbors. Mike (Eastman) was a pleasure to work with, very good at what he does. Thank YOU so much for the kind words. Speaking of treating you like family, we waited HOURS for you to show up to carve the turkey??? Just kidding :-) The fact that you keep coming back is HIGH PRAISE indeed. Best to you both! Review: Repeat customer. We check out your cars regularly. This was an impulse purchase! Wow Steve....quite an impulse purchase! Guess we parked it in the right place that day, kind of like when they put that pack of gum next to the check out line :-) Well it came just in time to be an early Christmas gift! 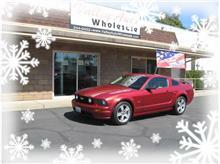 We sure do appreciate your business & wish you many, many miles of driving enjoyment in your new sports car. Remember you can only go to traffic school every 18 months so keep the speed under control! Review: Duane (Gazzigli) was great. Everything was great! I have recently had a bad experience with Crown Motors (2 times actually) and also Kia...So this was a breath of fresh air! Thank you so much Rhetha & Alyssa for the business AND the kind words! 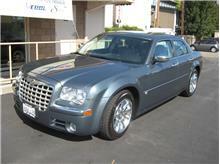 I understand our good friend, Jerome Evans, referred you to us! We just love Jerome and his family. Repeat business and being referred by people you respect is the best form of flattery. Thanks again and enjoy your vehicle. Happy Holidays to you! 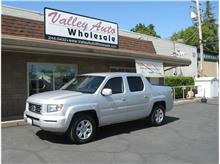 Review: (Our salesperson was Larry Birdsong) Very Good experience, No Pressure. Transaction completed quickly. 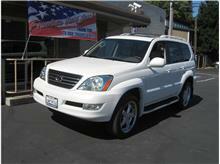 Review: Larry (Birdsong) was very professional and explained everything completely, such as warranties and all fees. We are very satisfied. Review: Great experience! Made buying a car easier than ever! Review: Duane (Gazzigli) was such a pleasure to work with and I greatly appreciate all his hard work and not being the "typical" car salesman! Review: Duane (Gazzigli) was outstanding in his customer service. No hussle, No hassle. Honest! I already referred a friend who also made a purchase with Duane. The whole experience was awesome! Review: Genuine People! Larry (Birdsong) was great! Thank you. 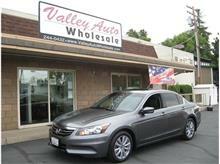 Review: We were very pleased with our service and our salesperson, John Rosel! 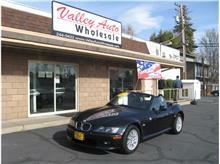 Review: We bought our Miata from Valley Auto Wholesale in 2008 from John Rosel. He kept in touch with us on and off over the last 4 years to see if we were still happy with our the car and/or ready to buy again. 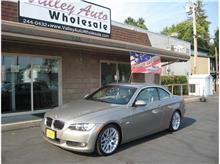 He made caar looking & purchasing so easy and painless!! Just EXACTLY as ADVERTISED! Thank you so much for the kind words and the repeat business Mike & Sharon! Nothing makes us feel better than having customers that come back again and again. Review: John (Rosel) worked hard to get us financing, everyone was very friendly. There was no pressure or hassle. Every vehicle on the lot was high quality. We definitely will refer friends. 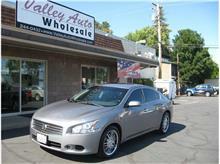 Review: My Wife and I just bought our 2009 Maxima from Valley Auto Wholesale. What a great experience! The whole buying experience was enjoyable. 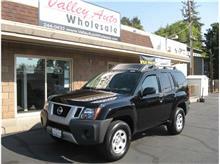 Great vehicle at a great price and no pressure. What a concept! 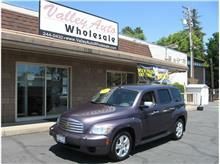 We have bought several vehicles over the years from Valley Auto and I refuse to go anywhere else. Thanks again Charlie, Barbara and Mike! 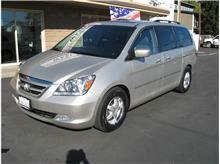 Now, road trip to Oregon in our new ride! Review: Wonderful vehicle, fair price. We have always shopped around before making purchases. No hassle approach and Duane Gazzigli's professional skills made the experience enjoyable. It's not often you can say that when purchasing a vehicle. 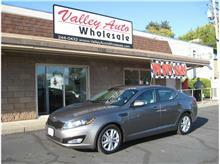 Kevin, We are so glad to hear you enjoyed your buying experience and are happy with your purchase. That's the kind of feedback we never tire of hearing. Thank you so much! Review: I was looking for a commuter car to school and back. 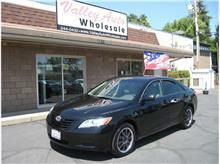 I found my Camry and I had my heart set on it. Duane G. helped me every step of the way. I did a lot of research and homework, I must have come back 4 or 5 times wanting to test drive it over and over and check every single thing out. I came back one Saturday morning and there it was waiting for me! 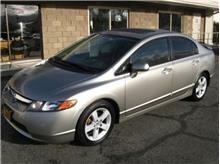 The financing went easy and smooth, about an hour and a half later I was on the way home in my new fuel efficient Camry. I love it! 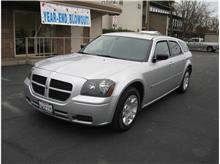 Driving is fun again and I feel I got a safe, reliable car for those long trips down Highway 99 and I5. Thanks again Charlie (Durel) and Duane (Gazzigli)!!!!!!! 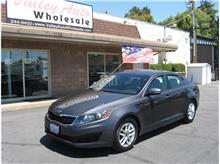 Review: Great experience, Great customer service, Great car! 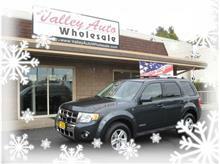 Thank you Mike (Eastman) and the team at Valley Auto Wholesale! 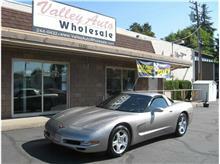 Review: I had been looking for a good quality used Corvette for over a month. I found this car on Craigslist and went to see it. Duane (Gazzigli) was great! No pressure, great car, great price. Bought the car on the spot. Best car buying experience I've ever had. 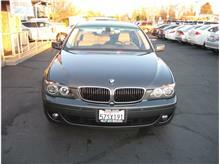 I will be back for my next car. Review: The best car buying experience I have ever had. 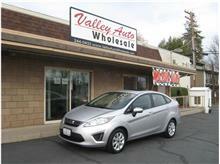 Review: Friendly, Enjoyable car buying experience. Review: We have purchased 3 cars from you guys. And when we get ready again, you will see us first. Review: Duane (Gazzigli) did a fantastic job. 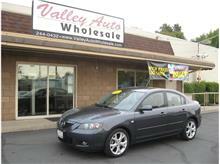 He covered all his bases, went the extra mile, & we own an awesome car. 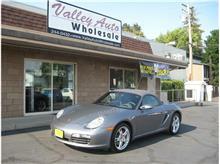 Thank you Valley Auto Wholesale. 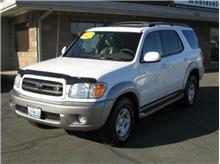 Review: Larry Birdsong was friendly, knowledgeable and confident in the quality of the vehicles he was selling. 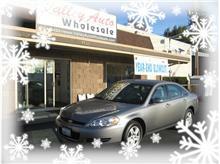 We left feeling confident and happy about our purchase because of the way that Larry presented himself to us. Review: My salesman was Mike Eastman. 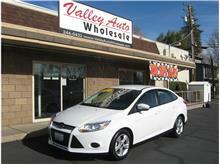 I would rate everything about my buying experience at Valley Auto Wholesale a 10! Review: I was originally just looking. i normally hate the run around experienced at other local dealers. Duane (Gazzigli) never pressured us and I never had to make concessions or accept something not exactly what I wanted. Review: Duane (Gazzigli) was great with us. Not pushy or aggresive. We felt like we could trust him and whatever we wanted, he would try to make it work. 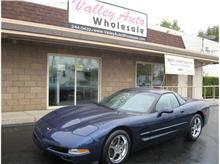 Thank you so much for reimbursement for the 2006 Corvette window switch repair. I did not expect that! You will be interested to know I drove the car to Lower Lake Wednesday, 65 mph on cruise control, pure I-5 and Hwy 20 (non cruise control) mileage - 4.4 gallons, 144 miles = 32.7 miles per gallon!!! I am delighted! 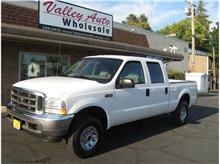 Review: I have purchased several vehicles from Duane. 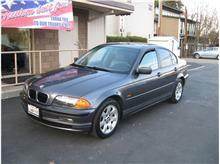 I know he will make sure I get a dependable car at a great price. Review: I had an excellent experience working with Larry (Birdsong). It was great how he was literally the ONLY person I dealt with from start to finish (ie: no "Closer", no "Manager", no "Finance Manager", etc.) The quality & price of my Charger was even better than what I found at CarMax. 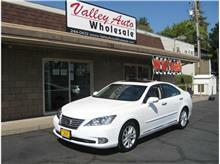 Review: My wife and I had a very positive experience with Larry (Birdsong) at Valley Auto Wholesale. He was patient and professional. 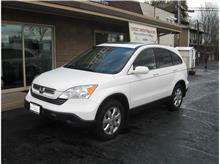 We were pleased to find the CR-V model we originally wanted to buy. 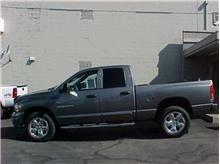 Review: We both have to say that purchasing this truck was the smoothest, best car buying experience we've ever encountered. It was fast, easy, seamless, and actually enjoyable. Mike (Eastman)was very personable, knowledgable, quick and the best salesperson to buy a vehicle with that we ever experienced. 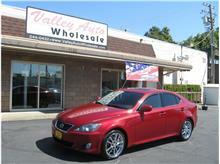 Response from VAW: George, Thank you so much for your business!! I am very sorry to hear about the passenger window switch :-( We do our very best to catch everything before putting vehicles up for sale. 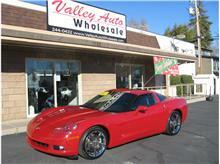 We wish you MANY, MANY wonderful travels in your awesome corvette! Review: Love my car!! Duane made this an easy and very pleasant experience. He was awesome!! Review: I purchased my Pilot from owner, Charlie Durel. On a scale of 1 to 10, I rate the Quality of Vehicle, the made to feel comfortable factor, treatment and overall experience all a perfect 10! Review: My salesman was Mike Eastman and I would rate my Overall Experience at Valley Auto Wholesale a 10.
Review: I research everything I do online first so it's important to me to have a web site to view. Also, thanks for having prices on the web site. Some don't and I hate that, lol. Review: Larry (Birdsong) was great! Went above & beyond during and after the sale! He even came in on his day off so that I could test drive the car. I am very impressed & would recommend to everyone! Review: Larry (Birdsong), If you ever get a newer John Cooper Works Mini Cooper Hatchback, let me know. I might trade up. Not Red or Black, Preferable Green with White top. Review: Very happy with the vehicle. We enjoyed working with Pete (Sande). Review: Great service by Mr. (Larry) Birdsong. Review: Thank you so much! You were all so nice to us. 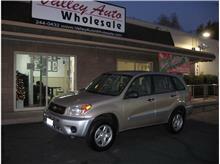 Pete (Sande) was very kind and took time over many days to help us with this purchase. Review: Not pushy, What turns me off is a pushy salesperson. 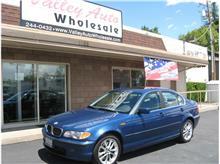 If the other car lots had a salesperson like Pete (Sande), I may not have made it to your lot. Thank you again. Review: I was very comfortable and did not feel pressured which was very different from my other past experiences. Pete Sande was very personable and patient and answered all my questions. Excellent Salesperson! Review: I rate everything about my buying experience a 10. Thank you! Review: Duane (Gazzigli) was awesome. We questioned our credit because we've been working so hard to better it but Duane assured us we wouldn't leave that lot without our car. 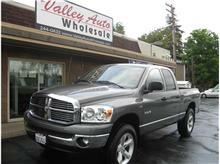 He helped us with everything and guys like him are why we would definitely come back to Valley Auto Wholesale. 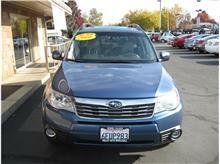 Our purchase decision was influenced most by the Quality of the vehicle and the Price. Review: What influenced my purchase most? Vehicle, Attitude & Larry Birdsong's calm demeanor. I was a F&I Manager for the largest used car dealerships in Reno, NV for 15 years - Also was used as a "closer" as you referred to in your narrative. 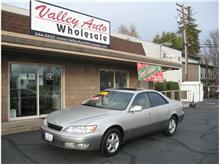 Larry is a good salesperson - excellent attitude and approach to me & my issues in purchasing. Review: Duane (Gazzigli) took care of everything I needed. 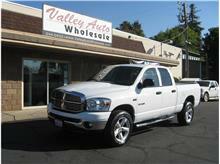 I was extremely satisfied with my purchase and the class & respectful treatment I received at your business. 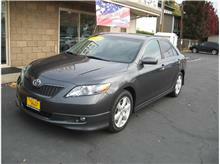 Review: Mike (Eastman) is the best overall car salesman I have worked with in over 50 or more years. He's a winner. We have already told five different people to contact him next time they need another used vehicle. Thanks for having him on your staff!! Review: This was the first time I've ever purchased a vehicle from a used car lot & was quite surprised at the professionalism. I'm sure Larry (Birdsong) could have given me a better deal, as I paid premium price for the vehicle; However, this vehicle is in High Demand & I wanted to please my son. Review: Larry (Birdsong) did a great job. He was not pushy but was professional and quick when it came time to make the deal. I wish I could have gotten the tailgate with the truck, but the camper shell is awesome. Review: Best and easiest car-buying experience I have ever had! Thanks Larry (Birdsong)! Review: Larry (Birdsong) did wonders for us! We will, and have, recommended his service! Review: First saw your ad on the internet. Ran the features through Kelly Blue Book. Ran an Equifax report. Stopped by your lot for a test drive. Mike (Eastman) is a super guy, Easy to work with, No Pressure. I knew THIS was the Truck and THIS was the Salesperson! Review: Our salesman was Duane Gazzigli. On a scale of 1 to 10 - We rate EVERYTHING a 10.
Review: We rate everything a 10! John Rosel is a "Great # 10" Salesman. Review: Experience was fine - just a lot of paperwork is required - understandably so. Duane (Gazzigli) is great, car is super. Have recommended friends to you & they, too, have bought a car from you. 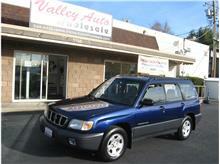 Our neice bought a car from you also & recommends you. 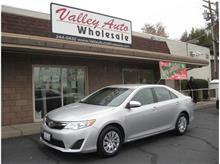 Review: Buying a vehicle from VAW was a pleasant experience. It's a salesman's job to make the sale happen but to find an honest & cooperative salesman is your luck. I must say we're lucky to be helped by Duane Gazzigli, a gentleman who stepped into our shoes from customer's point of view, making sure we were absolutely satisfied with our purchase. He answered multiple phone calls in 5 hours & went out of his way calling people to get information that we wanted to know on our selected car. There's only 2 good reasons (do I need to mention) that made us drive 250 miles/3.5 hours (each way) with our 15-month old & that too on a Friday after office hours! I guess that says it all. Also, he gave us a good deal even before we started to drive as he didn't want our trip & time to go to waste. Every stage of our purchase was comfortable & relaxing & it was definately one of our most pleasant & smooth shopping experiences. He even followed up with us the next day to find out if we reached home safely with the little one. It's his attitude & pleasant personality which helped us in simplifying our decision. We are glad that we went with our instincts. 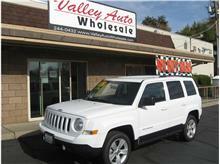 Review: Jeep is very clean & in good shape. Review: Duane (Gazzigli) was great to deal with. Very professional! Overall great experience! Review: Larry (Birdsong) was great & followed up with a phone call. Nice man. Thank you. 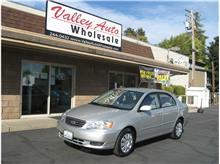 Review: Thanks so much for the great experience AGAIN of buying a car from Valley Auto Wholesale. 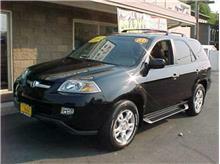 Duane (Gazzigli) was wonderful and I truly recommend your dealership. Review: Your dealership has always exhibited clean and good quality vehicles. 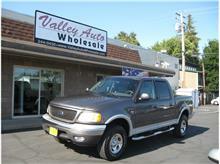 The Ford PU we purchased was the first vehicle we looked at and test drove. 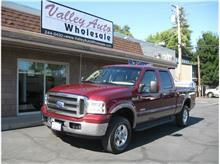 After we spent the day looking at other trucks, we came back to Valley Auto (Wholesale) and bought that Ford F-150. 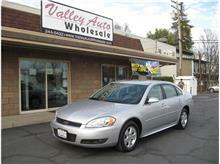 We are very satisfied with our purchase and your dealership. "Thanks Alex". 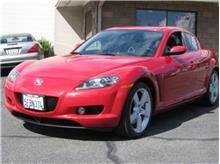 Review: Mike (Eastman) made buying the car a pleasant experience. 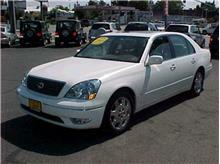 I had spent 2 days looking and dealing with other salesmen and left those dealers' disgusted. Review: My salesman was John Rosel. Worked well with a tight schedule. Review: Overall a good buying experience. John (Rosel) was our salesman. He was fast and tried to make the expierence as smooth as possible. We got home and realized there was an issue with the brakes squeeking. Called John to inform him of the problem and again he was great, got me an appointment the next day to have it taken care of. 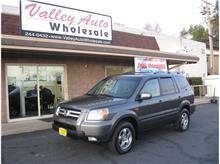 If you are looking to buy a used car from reputable dealer with quality vehicles then this is the place! Review: Duane (Gazzigli) made us feel welcome and comfortable. When we voiced our concerns & asked about options, he began making phone calls to get the information we needed to make the best purchasing decision. Thank you for a wonderful car buying experience! It's been about 3 weeks now - No regrets! Review: You (Larry Birdsong) apparently did not try the spare key. It turns out it was defective and it cost me $85 at 02 Motorsports to find that out. I enjoyed working with you - professional, not pushy. Review: Larry (Birdsong) was great. He made the whole process quick and was very informative. 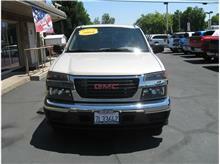 We also appreciated the air conditioner switch being replaced after buying the truck. Thanks again! Review: Great Experience. Loved Larry (Birdsong). Best car buying experience I have ever had, bar none! Great no hassle no bull dealership. Review: Larry (Birdsong) was a friendly salesman. We've bought 5 vehicles from VAW. Been pleased. Thank you. Review: Mike Eastman is amazing! I have never had such a positive buying experience. 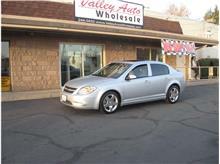 Not only did Valley Auto have the exact car I was looking for, but Mike went out of his way to make sure that everything, down to the smallest detail was taken care of. I was very concerned with aesthetics as well and he was quick to assure me all we discussed would be followed through. And he did!I have been driving my car for a couple of weeks now and I love it and will definately buy my next one from Mike. 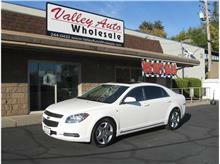 Thank you Valley Auto and Mike! Review: (Bought 2 vehicles same day!) "What a wonderful place to buy an auto - (No high pressure sales) I will look to you for our next autos, and will absolutely refer others to you. Thanks again for a great experience! P.S. Mr.(Duane)Gazzigli is a keeper." Review: Appreciated Mike's (Mike Eastman) willingness to offer a fair trade-in allowance to help make the deal happen, and to stay late (after Saturday hours) to get the deal done, as I work out of town. Review: Excellent car buying experience! Got the car I wanted at the price I wanted with no pressure. 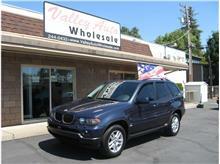 And had an excellent salesman, John Rosel. Thanks John! Review: What influenced my purchase most? 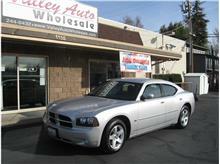 Price, Quality, Vehicle, Attitude & (my sales/finance specialist) Duane Gazzigli's reputation of Honesty & Helpfulness. Why would you buy anywhere else?! There is not one person that has a bad thing to say about your lot. 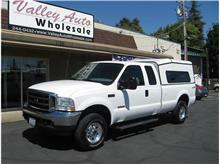 Your vehicles are in great shape and prices are to please. 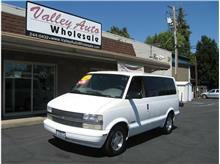 This is our second vehicle we have bought from VAW and it will NOT be the last! Thanks Duane & VAW! 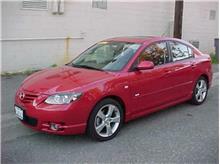 Review: After having had a bad experience with Budget Auto, John (Rosel) was a low pressure salesperson. He found me better financing than I already had. Transaction was very simple. My mechanic said the vehicle is in excellent condition. Over all, I am very pleased. 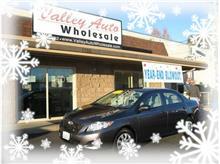 Valley Auto Wholesale has been the first dealer I have used in many years! Thank you! 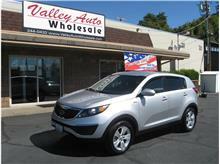 Review: I was raised in the car business - a "car dealer brat" so I am quite familiar with retail and wholesale. This is my second purchase from VAW and both experiences were far beyond my expectations. 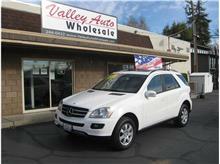 You redefine "used car dealership" with quality, medium to high-end vehicles at affordable prices. And John's (Rosel) dynamic personality, well, he's a deal closer - where buyer and seller both feel they got a fair deal. I have recommended you MANY times. 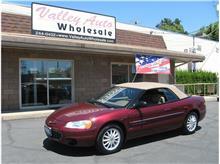 Review: Duane (Gazzigli)is an excellent salesperson and I trusted him because of his attitude. Review: Thank you! 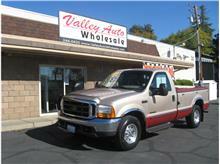 We've been down to Redding twice & both times bought a vehicle from you. Duane (Gazzigli) was awesome to work with! 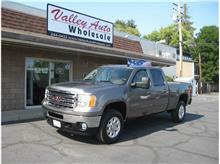 Review: You had what we were looking for at a fair price and I was not jerked around. 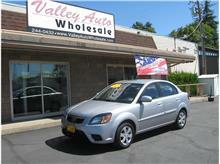 Our salesperson was John Rosel. Review: John (Rosel) was great! 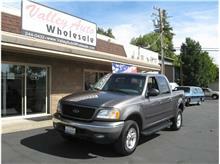 He handled every aspect of our purchase with honesty and professionalism. 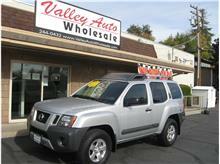 Thank you, John, for making our transaction not only easy, but enjoyable too :-) We'll definately shop at Valley Auto Wholesale in the future. 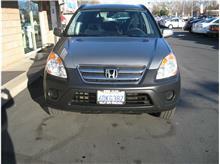 Review: A good experience for my first time buying a car with a car payment. Duane Gazzigli worked real hard to get me a great rate for not having any credit. Review: Mike (Eastman) was very knowledgeable about the car we purchases - was dressed professionally and made our transaction smooth. The car was CLEAN. I also liked that he showed us a car-fax (AutoCheck) upon request! Review: Larry (Birdsong) was professional and dealt with my attitude very well. I can be gruff sometimes. But he didn't want to arm wrestle because I would win. Plus he made my wife happy. Good Job! 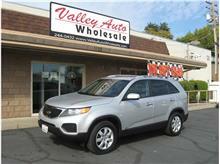 Review: Charlie & Barbara, My husband & I recently purchased a vehicle from your business. As we were not in any hurry to purchase a car, we visited several dealerships over several months to find the car that was right for us. 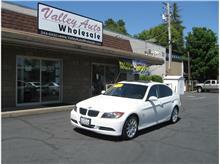 Often we left the dealerships disappointed in the "pushiness" of the sales people. It was not that way with John. 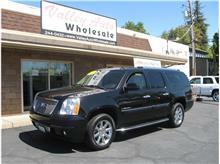 He let us think about our decision and let us walk around your lot without hovering or trying to "win" our business. We knew he was around, because he introduced himself, but felt that we could make our decision without him constantly interrupting us. 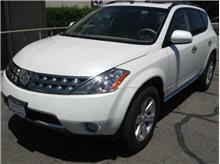 We appreciated that and will recommend your business to our friends looking to buy a car. 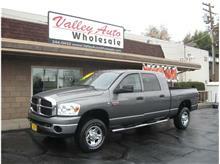 Review: My husband and I were so impressed with Duane and all of the folks at Valley Auto Wholesale. 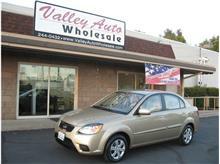 Duane was very friendly and helpful, and we felt very comfortable buying a car from him. 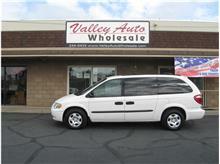 We couldn't be happier with our new-to-us 2006 Honda Odyssey-it is in excellent condition and loaded with all kinds of bells and whistles! 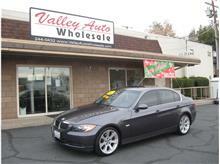 We would definitely buy another vehicle from Valley Auto Wholesale, and we're so glad we finally found the car we'd been looking for right here in Redding! Thanks again Duane, we appreciate everything you did for us. 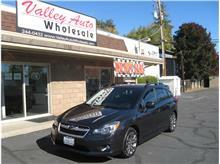 Review: We would rate everything about Valley Auto Wholesale and our salesperson, John Rosel, a 10! 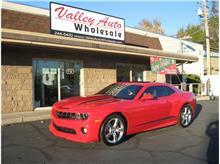 Review: Not only did Valley Auto Wholesale have the finest quality vehicles but they were the most professional out of all the dealerships I went to, and I went to a lot! 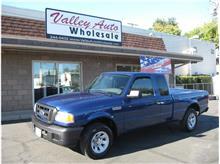 I wasn't ready to buy a vehicle but I still wanted to browse for when I was ready. They never pressured me and never pulled any B.S. If I asked a question, I got a honest answer. 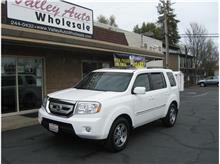 When I finally bought my vehicle, they gave me a great price, and a great vehicle. 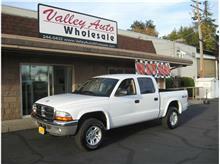 I will definately refer my friends and family to Valley Auto Wholesale, and especially to salesman Duane Gazzigli. Thank you VAW! Review: Duane (Gazzigli) was easy to deal with and treated us with respect. 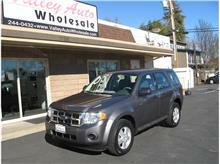 We came in several times looking for the right vehicle and were met with patience and non-pressure. Review: I have known Charlie Durel (owner) for 30 years, since our days working together at Rodway Chevrolet (now Lithia Chevrolet). I have trust in Charlie. I will continue to recommend friends and family as I have in the past. Review: Appreciated Larry Birdsong's time and patience. 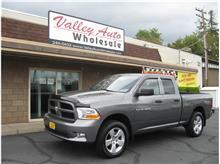 Review: Mike (Eastman) was an excellent salesperson that gave us top notch service and lack of pressure. Very knowledgeable and courteous plus humorous. Made us both feel very comfortable. Give this person a raise! Daughter has a positive image of used car salespeople after this. Thanks for the experience. Review: Referred to you by Don Severson. Thank you. I love my "new to me" Jeep! 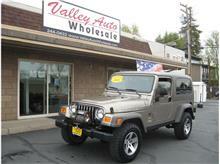 Mike Eastman was very informed and took the time to explain each step regarding the purchase of my Jeep. I love the warranty program that was offered. I hope to never need it, but was glad it was available. Thanks again. Review: I am a past customer. My daughter (10 yrs old) really liked John Rosel. She was so cute dickering with him over the price :-) We will recommend VAW to friends and family. Review: A Drive Well Worth It !! Review: I don't like to be "sold". I was comfortable with Mike(Eastman)from the start. He let me think I was "buying". I will refer people to Mike because I know they will have a positive experience which will make Mike and I both look good. Thanks Mike! Scored overall experience a 10! Review: We score our overall experience a 10. 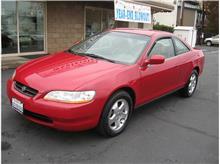 Buying this Honda Accord was a lot easier than from the other dealers and faster. Thanks. We will recommend you to friends & family. 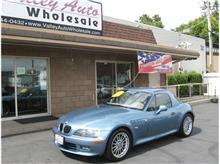 Our salesperson was Duane Gazzigli. Review: Perhaps the most satisfying car buying experience I've had. 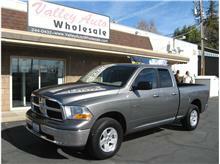 Salesperson, Duane Gazzigli, was very polite and knowledgeable about the vehicle. No pressure atmosphere, No haggling over a few dollars, No surprises. Definitely recommend. Review: Mike Eastman, My husband and I very much enjoyed doing business with you. 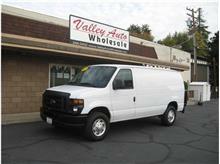 Thank you for your patience and diligent effort in making sure we were able to get our van. Our daycare kids love the new van. It was a great purchase. Thank you! Review: most importantly, we appreciated being treated fairly & honestly. also appreciated the owner introducing himself. best used car experience we've ever had. 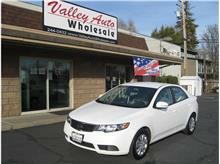 Review: Thanks, Duane, for helping me get into the car of my dreams! I absolutely LOVE it! I was dreading buying my first car. Friends and co-workers had told me how horrible the car buying experience was, but I was pleasantly suprised with my experience at Valley Auto. 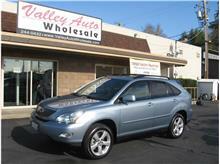 Every time I hear someone talking about getting a new car, I tell them to go to Valley Auto. They won't be disappointed! Thanks again, Duane! Review: Wow! Very pleasant transaction. Duane sure made things easy. He handled most of the paperwork over the phone. Have been very pleased with the car. No problems at all. I wish they were all this easy. Thank you guys very much. We'll be back next year. 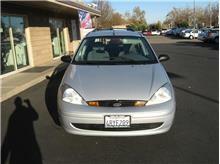 Review: I needed a 2nd car and my little Focus is perfect. It was VERY CLEAN and it has been everything that I had hoped for. 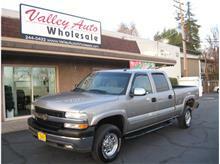 My experience at Valley Auto Wholesale was a positive on and I would go back. 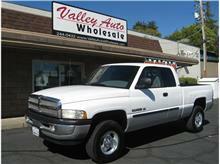 Review: We purchased this truck in 2003 - It had 95,000 miles on it. 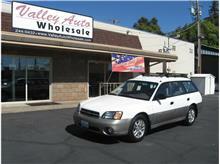 It is now 2009, and we have 180,000 miles on it and it runs as good as ever. 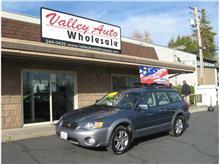 We were so satisfied with this whole experience that when in the market again in 2009 for a quality used car, Valley was the first place we looked. 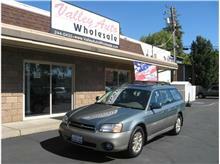 After looking at the market selection in the area, we decided to buy again in July 2009 from Valley. 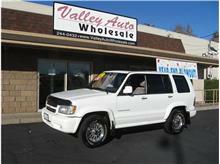 Quality, price, and selection were all key decision criteria. 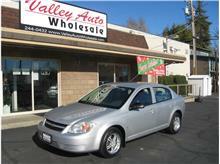 We feel that the car we purchase and the deal we made fulfilled all of these criteria. Review: We couldn't have been more pleased with the outstanding professional service we received. 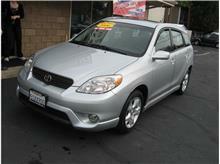 This was our first time to purchase a second hand car during our forty year marriage. We were treated with respect and were so surprised we didn't have to hassle over prices. 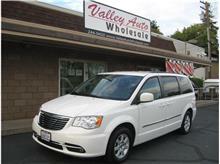 Usually it's a nightmare to purchase a vehicle but this proved to be such a pleasure dealing with the staff at Valley Auto Wholesale. Our salesman explained every detail of the best loan and the extended warrantly and seemed to have our best interest at hand. 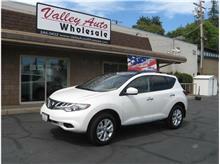 We absolutely love our Murano we bought at Valley Auto Wholesale. Review: We love our new Honda Civic! My wife and I have both experienced the high pressure sales attitude at other dealerships but you won't find this at Valley Auto Wholesale. Our salesman Duane and everyone else at the dealership were very helpful while choosing our new car. 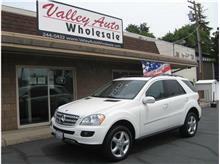 The vehicles chosen by Valley Auto are the best quality and I will definitley buy from them again in the future! If you are considering purchasing a vehicle look here first, don't waste your time at other dealers! Review: My wife and I were so pleased to be treated with respect and no pressures or hassles from Jerome or any other person at your dealership. 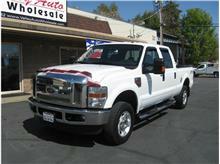 We feel we got a really good deal and a fair price for our truck within a short amount of time. The loan paperwork went smoothly and Jerome knew what he was doing. Everyone there was courteous and polite and made the whole experience a lot of fun. 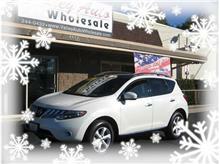 We will recommend your dealership to all of our friends and family. 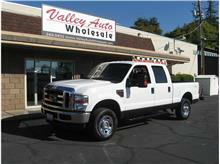 And, we just love our new truck!! Thank you so much!! Review: I have known Charlie Durel since my young car buying days in the 1970's. Our friendship has been a long and good one. 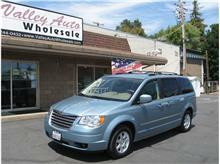 If there is any-one car dealer or salesman in California, Charlie is the most trusted and he has always been there for my vehicle needs. 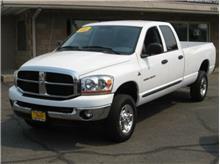 I recently purchased a 2000 Mustang Convertible, 2004 Dodge Quad cab for my daughter and my last purchase, a 2006 Dodge diesel. Charlie, thanks for being the true friend that you have alway been. Kathy and I wish the best for you and Barb. Review: We are very happy with our purchase. Buying a car from Julio was like buying from a friend. Very low pressure, but ready to do what it took to get us into the car we wanted. The owner of the company even went the extra mile to make sure we could afford the vehicle we wanted. We will tell our friends and family about our great buying experience. 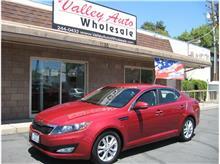 Review: I had an outstanding experience at Valley Auto Wholesale! 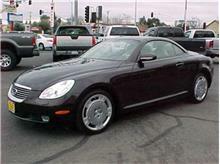 I am a 52 yr. old first time car buyer. My husband had always purchased our vehicles. He recently passed away. I told salesman Jason Rich that and that I was very nervous. He said that he would take good care of me and he did just that. He was patient and helped me to understand the whole process. 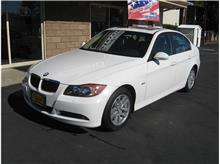 Charlie was very generous with the price he gave me on my trade in and now I'm driving my dream car (BMW). 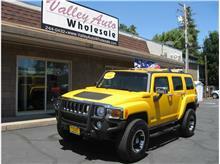 I would highly recommend Valley Auto Wholesale to anyone who is apprehensive. The cars are OUTSTANDING and the employees AWESOME!!! 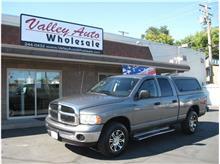 I recommend Valley Auto Wholesale! Review: I have finally found the car of my dreams. 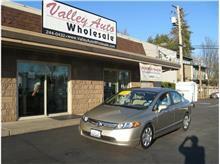 And not only finding a great car, but having a great buying experience. 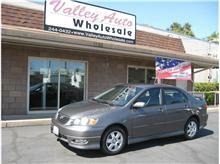 Jason's winsome personality is a great asset to the whole car buying experience. Also, thanks to Charlie for giving me top dollar for my trade-in. 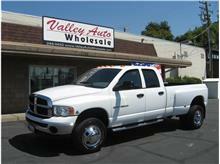 God Bless You. .
Review: I have heard the excellent reputation of Valley Auto Wholesale over the years. 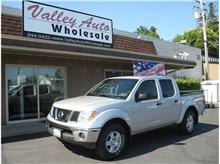 Previously I have only purchased new vehicles but this time I thought I'd take a peek at the used vehicles at Valley Auto Wholesale. 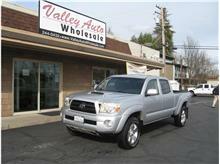 Their selection is so much better than other dealers in Redding. My entire experience was great. No pressure. They listen. They talk to you in English - no car mumbo jumbo. Anyway I LOVE my car and I will definitely buy my next car here. The owners, Charlie & Barbara Durel have done an excellent job in every area. Their entire staff seems knowledgeable, professional and courteous. Thank you so much! 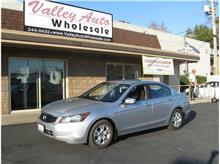 Review: Julio was extremely helpful and patient with me and met all of my needs. He paid very specific attention to detail. Review: These people are great!!! They don't pressure you into anything. Everyone was really helpful and they work with you to get you what you want. Review: I never felt any pressure. I was very comfortable and relaxed. Julio was very friendly and helpful. He helped us find just the right vehicle for our needs. Review: VAW Rocks Thank You!!!! Review: Julio was great! Thank you VAW! Review: We had a wonderful experience! Everyone was helpful, friendly,courteous & they did everything that they could possibly do for us every step of the way-even after we had bought our car. If you've had a BAD experience with a dealership this is without a doubt the place for you-because they will make you change your mind about buying a car! There's no pushy salesman, no being nice UNTIL anything. I personally won't go anywhere else for a car EVER again. 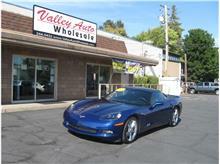 Review: This is the best lot in Redding. I've bought my last three trucks from these folks. I can't say enough about Charlie and his crew, give 'em a try. Review: First of all my new car is great! My husband asked me to do an online comp for their car and my own. 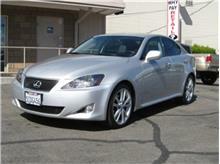 I calulated my wish price for my trade-in and for the Lexus and that is what they sold it to me for. If all the salesmen are as competent as Jerome then I have to say this is a GREAT place to shop for an excellent used car. Thank you Barbara for making our deal work. A little bird told me you are the brains of the place. Review: I had an excellent experience in purchasing this vehicle, and I will return to buy other vehicles.My special thanks to Jerome. Also thank you for the car wash pass. 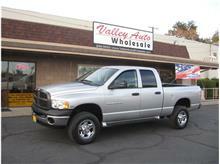 Review: I was shopping on the internet for a used vehicle and came across the Dodge 1500 4X4 at Valley Auto Wholesale. It fit all of my criteria, furthermore I was impressed by the quality pictures on the website. My Salesman secured financing for me at what seemed like warp speed. All this was done from the comfort of home. 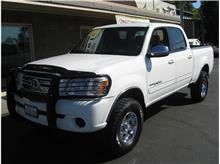 I went in to the dealership, test-drove the truck, traded in my old Blazer and was out on the road in less than an hour! 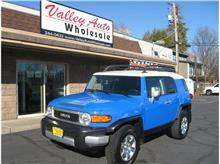 My salesman was great, being both professional and very personable! 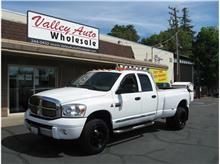 Great service, go get a truck from Valley Auto Wholesale! 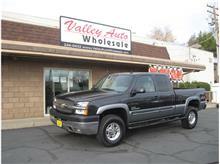 Review: Jerome Evans was the best professional salesman we have ever dealt with. 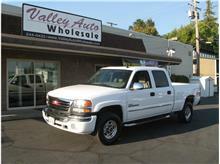 His knowledge and demeanor put us instantly at ease, and even though the truck we bought from him was the most expensive Silverado in the Autotrader, the quality sold us. 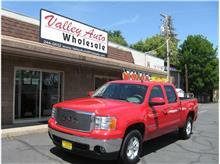 Kudos to Jerome and Valley Auto Wholesale! 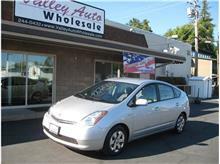 I just bought a Toyota Prius Hybrid from Valley Auto Wholesale and they are awesome. JASON was "The Man" who sold us our vehicle. He was awesome. We told him what we wanted for price and payments and he made it happen for us. They even gave me a great deal on my trade-in. 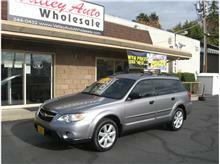 All their vehicles are nice and clean making it a very comfortable environment to buy a car in. 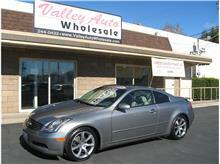 Thanks Jason, and Thanks Valley Auto Wholesale. Review: We have purchased a Lincoln Town car and a Ford pickup from Barb and Charlie Durel within the past couple of years. 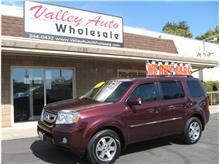 If you're looking for quality and price, you will find it at VAW. 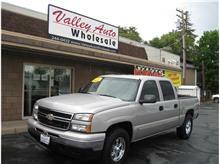 Review: I would like to take this opportunity to personally thank the entire staff at Valley Auto Wholesale for making my buying experience a real pleasure. Being in sales myself, a Realtor by Profession, I can only relate to and appreciate the utmost professionalism and customer service I was personally shown. 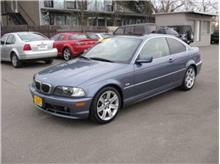 Not only did I receive a fair price for my trade-in, I purchased a nearly new spotless BMW 530I well under Kelly Blue Book price. In addition, there was no high pressure or frustrating sales tactics used to get me to buy. 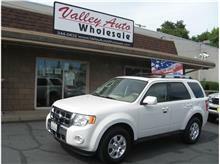 I would highly recommend Valley Auto Wholesale to anyone wanting a great deal on a nearly new vehicle. 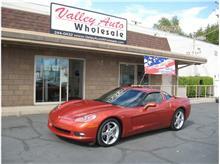 Check out their inventory, all late Model and super clean vehicles. Once again, thanks, for a terrific buying experience. 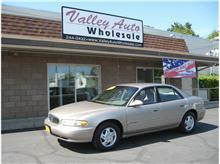 Review: Our Family recently purchased a 2001 Jeep, and the next day a 2004 Lincoln towncar. 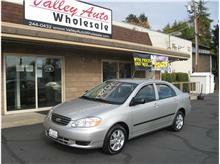 We were very pleased with the price and quality of these automobiles. 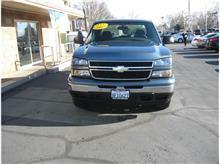 The owners, and sales staff made the buying experince a real pleasure. The warranty package they offer is a great value. 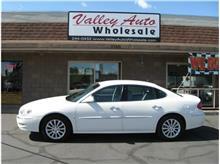 I would not hesitate to buy from Valley Auto Wholesale again. 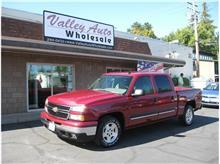 Review: In the past year I have purchased a 2002 Tahoe and a 2003 Chevy pickup from Valley Auto Wholesale. Charlie and Barb were awesome to deal with.Their knowledge and integrity will bring me back again. 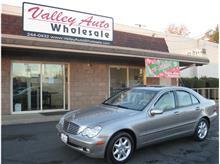 I send all my family and friends to Valley Auto Wholesale!! 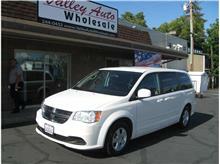 Review: We recently purchased a 2005 Dodge Grand Caravan,The staff was fantastic in helping us obtain financing as well as working with us in getting into the car we needed for our family. 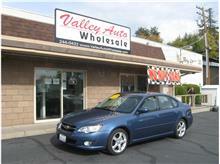 Our salesman was great in answering all our questions, We will definitely buy our next vehicle from Valley Auto Wholesale. 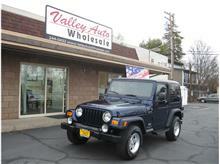 Review: We have purchased two Vehicles from Valley Auto Wholesale within the past 5 years. 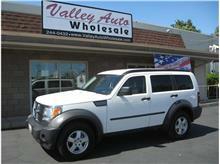 Valley Auto found my Vehicle and had it to me in 2 days. Both times were the easiest buying experiences I have "ever" experienced. I was not there for hours, and no sales pressure. I was able to look at my leisure. No other Dealership in town could match the Price. Not to mention the "CUSTOMER SERVICE". Which is the most important these days. 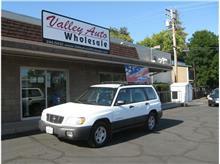 "THANK YOU SOOOO MUCH Valley Auto"
I will tell "everyone" about Valley Auto. Review: Thank you for my excellent first experience in buying my own car! 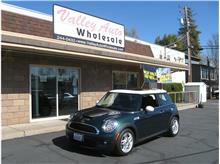 Review: We bought a Mini Cooper about 8 months ago and we just purchased a V.W. Beetle. What better advertisement can there be than 2 vehicle purchases within 1 year. Thanks for the positive buying experience! 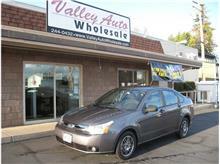 Review: We have just purchased our second vehicle from VAW. 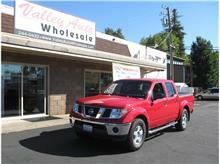 We have bought many vehicles over our 40 yrs. of marriage and our experience is that there are few dealers who treat you as nice after you close the deal. VAW is friendly and not pushy! If they commit to something during the transaction they honor it! We recommend them highly!!! Review: What an easy transaction. 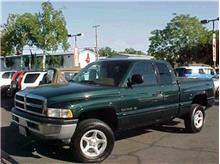 My salesperson did a great job although the 04 truck sold itself. I even received a call the next day saying they had obtained another key for me and they paid for the "computer chip" to make a duplicate. Thanks for making this a pleasurable experience. 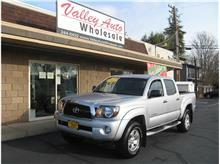 Review: The day after Thanksgiving I asked my wife if she wanted to go look at a Toyota Tacoma I had seen at Valley Auto Wholesale. We bought it that same day. 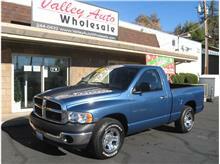 Usually I hesitate a few days before commiting to purchasing a used vehicle. This time I didn't. 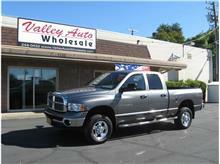 I was offered a fair price for my trade in and paid a fair price for my "new truck". No high pressure tactics involved. I feel good about my buying experience. 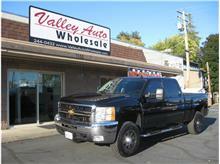 I would encourage anyone who is looking to buy a vehicle to shop here first. 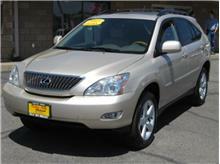 Review: My husband and I just purchased a BEAUTIFUL,SPOTLESS Lexus SUV from owners,Charlie & Barbara Durel,and staff at this FAMILY OWNED car lot, without any pressure,had wonderful service and A GREAT PRICE ,even under Kelly Blue Book.Then I returned a few days later to see if I could still pick up our cargo rug (that I had forgot to take out from my trade in car)that we use for our hunting dog CoaCoa to ride on, and they were willing to go the EXTRA MILE and call the detail shop to see if they could locate it, Now where do you get this kind of SERVICE and with a smile Too, VALLEY AUTO WHOLESALE - thats where. Thank You Barbara. Review: My husband and I purchased a 2001 Audi A6 last year and we were so pleased with it that we came back to our salesman at Valley Auto Wholesale to see what he could do for us. Not only did he give us a fantastic price on our new 2003 Lexus RX300 (and trade-in car also), but he found an auto loan with an unbeleivable interest rate! 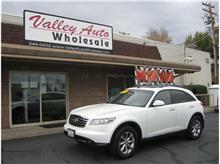 Thank you Valley Auto Wholesale! 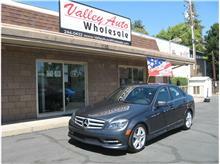 Review: My buying experience at Valley was the best I have had and I will tell anyone looking for a quality car to see owner, Charlie Durel. My Salesman was also very helpful to me. 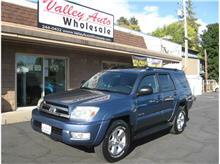 Thank you for a beautiful Toyota 4Runner. 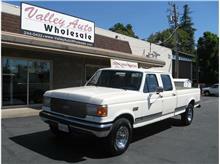 Review: Thanks to this website we found the truck of our dreams. 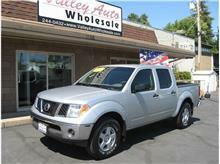 After looking at the awesome Nissan Titan online we came down and Our Salesman took care of us. Drove it, liked it, Charlie gave us top dollar for our trade and even agreed to take off the striping on the truck that wasn't really our style. Thanks guys we love our truck. 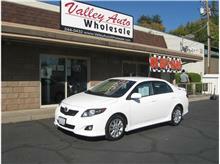 Review: I just bought a Toyota Prius Hybrid, from Valley Auto Wholesale and they are awesome. JASON was "The Man" who sold us our vehicle. He was awesome. We told him what we wanted for price and payments and he got it for us. They even gave me a great deal on my trade in. 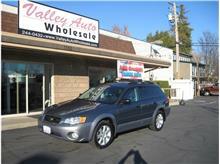 All their vehicles are nice and clean making it a comfortable environment to buy a car in. 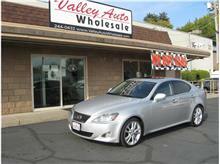 Thanks Jason, and thanks Valley Auto Wholesale.